My husband has a gift for sleeping. He falls asleep within minutes of his head hitting the pillow, and he’s perfected the art of the power nap. He can also sleep on airplanes, even during turbulence. In fact, I’ve witnessed him fall asleep prior to takeoff and not wake until landing for shorter flights. I’m jealous. I do not have that gift. I think Jonah had a gift for sleeping too. After choosing to deliberately disobey God, Jonah heads in the opposite direction of God’s leading. He boards a ship to Tarshish (the most remote location he could think of) and promptly falls asleep in the ships belly. In fact, Jonah sleeps so soundly that he fails to wake even when the storm hits. Now, maybe Jonah was just a good sleeper like my husband. Or, maybe he’s like so many of us who sleep (literally and figuratively) in order to avoid God-given responsibility (or responsibility of any kind for that matter). Regardless, it took a serious storm plus another person shaking him awake to finally get Jonah moving. What can we learn from this single scene in the rather short story of Jonah? Storms are sometimes from God. 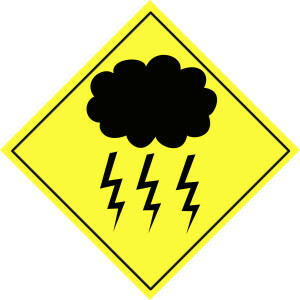 Whether he allows or sends them, storms (trials) are sometimes God’s tools for shaping our lives. God sometimes uses others to shake us into action. We often fail to have the right perspective during our own trials and need to hear another’s perspective to help us get moving. God sometimes uses unbelievers to direct believers. The captain was not a believer (yet), but he still implored Jonah to call on his God because the captain’s god (or gods) wasn’t getting the job done. God uses storms to get us moving in the right direction. The more determined the disobedience, likely the more powerful the storm. 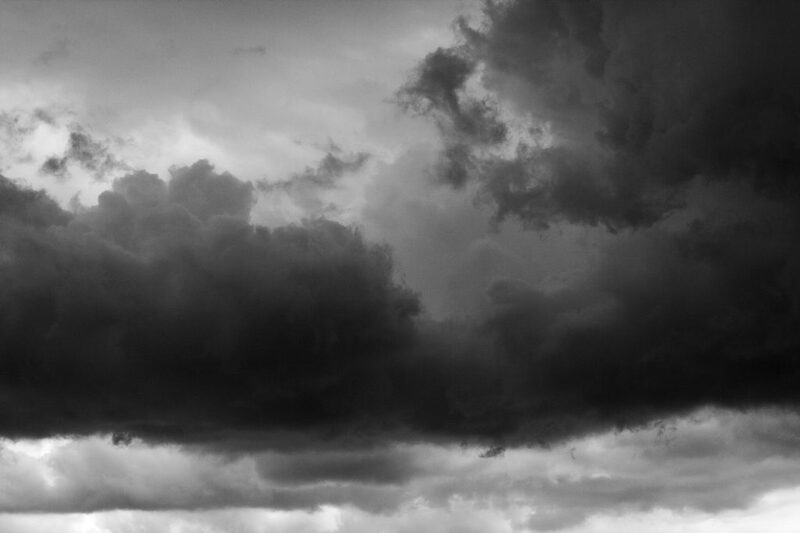 If there’s a raging storm in your life, consider how God might be using it to direct you. Even the best sleeper can’t ignore God forever. We can choose to dismiss Him, but no trick exists for completely and permanently avoiding Him. We will one day have to face Him (Galatians 6:7). Try as we might, whether by literally sleeping or by “sleeping” in the form of busyness and distractions, we cannot avoid storms meant to set us on the right track. Over time, however, we may put our awareness of God to sleep and become less and less able to see and hear His directing. Let us each determine first not to be deliberately disobedient and to secondly not “sleep” during God’s redirecting. DISCUSSION: How can we be sure to avoid “sleeping” and missing God’s directives? Are You Using a Broken Compass? The best way to become overwhelmed with decisions, to experience Decision Fatigue, comes through doing absolutely nothing to prevent it. People who consistently make good decisions & maintain consistent self control structure their lives to conserve willpower (their decision-making energy). In other words, they employ habits that allow for consistent regulation of decisions. Scripture has a lot to say about decision making to help each one of us make better decisions and better direct our decision-making energy. Preparedness requires spending regular time with the Father and learning His will. It means letting the Holy Spirit guide and direct decisions. Preparedness also involves taking care of the physical self, which helps maintain a long-term focus instead of being driven by immediate needs. Many of us become overwhelmed because of unnecessarily complicated (heavy) lives. Simplifying means automating where possible and releasing where necessary. Very few things are truly mandatory, things we actually HAVE to do. Decide non-negotiables, and then use energy for bigger decisions. We don’t have to accept every opportunity presented. In fact, opportunities often distract from God’s desire for us. Many of our decisions involve deciding among good, better and best, not between good and bad. Jesus emphasized this when he said that what Martha wanted to do wasn’t bad, but what Mary chose was better. Know “How to Make Consistent Progress” by focusing on your purpose as Jesus did, and you’ll have a clear idea of what to say “no” to and what to accept by way of opportunity. 4.) Let others do their part. Jethro advised Moses to delegate, so Moses wouldn’t get worn out and the people frustrated. The disciples needed to delegate in order to focus on their roles and still ensure needs were met. The concept of the body of Christ tells us we all have our own work to do, which also tells us some decisions just aren’t ours to make. We must allow others to fully do their parts too. Just as the the disciples did when Jesus called them into ministry, make the best decision you can and fully commit to it. Second guessing wears you and your ability to make good decisions — or any decisions at all — down. Developing an eternal focus involves prioritizing toward that which benefits eternally rather than just temporally. It means getting our focus off self and off of what satisfies only in this world and onto our Creator who knows what is best for us. 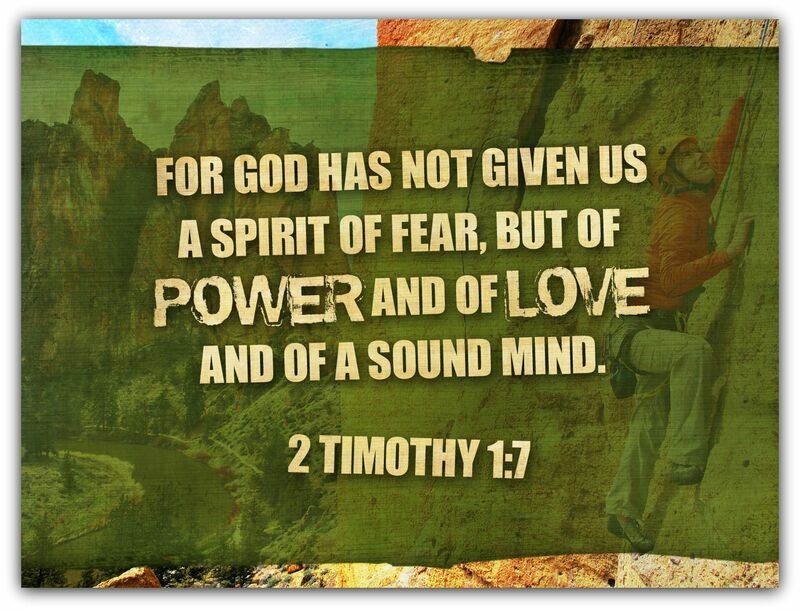 Examining hearts & removing idols of self-reliance. Learning to say “no” to good and trusting God’s leading toward best. 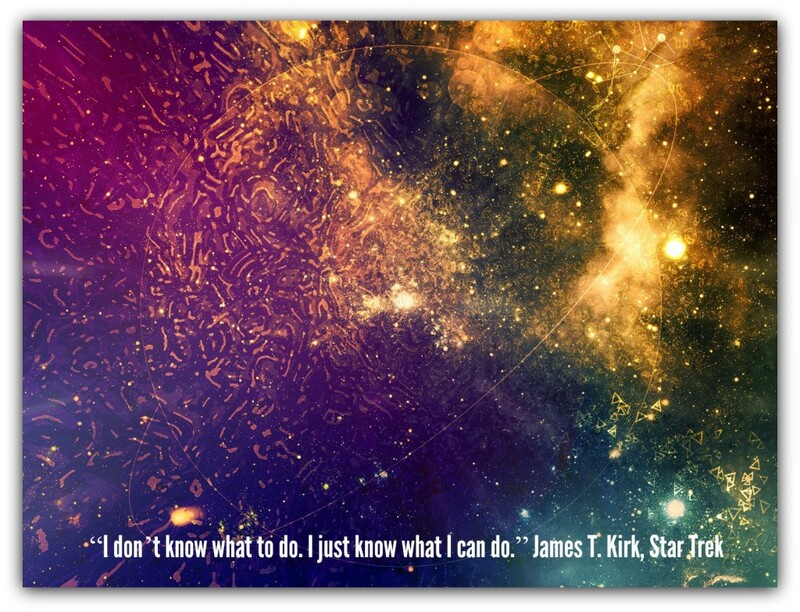 Do you feel overwhelmed thinking about where to start? 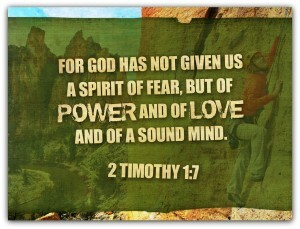 Let that overwhelm draw you to Christ and to his power. Remember that the resurrection of the dead revealed God’s unsurpassable power, and that we have access to that same power (Ephesians 1:19-20). Ask God where to start. Ask Him how to become less overwhelmed with decision-making. Let Him gradually lead you to a place of focus where you feel His peace and where you can live with joy and effectiveness rather than in overwhelm. 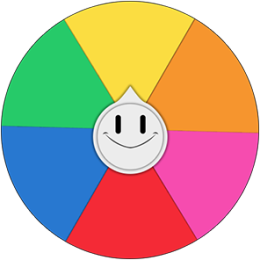 My sons recently lured my husband and me into Trivia Crack addiction. In doing so, they brought out a deeply-buried emotion. At least, one I try to keep stuck in the most remote regions of my mind but suspect comes out more than I realize. Years ago, frustration ruled and reigned in my life, usually in the form of hurtful words toward myself and others. In fact, my volatility became a point of humor at times. Nothing feels more frustrating than being teased over how easily you become frustrated. Frustration brought out the worst in my temper, which did a nice job on its own too. At one point, I felt out of control. When I realized how easily frustration came and how anger almost always followed, I knew I needed to find a way to break frustration’s hold on me. Walk away. When the tension begins to build deep within my gut and the self-insults begin to fly carelessly out of my mouth, off goes the game. When I recognize the early signals of frustration and walk away, I begin the process of turning off my frustration. Find a distraction. Once I walk away from frustration, I must walk directly to a distraction. Reading. Watching a movie. Exercising. Cleaning. Anything to get my mind off of the cause of my frustration before I begin to stew and boil. Pray. When frustrated, my prayers resemble a “deliver me or I’m going to die or go to jail” sort of desperation. Of course, the preventative approach prevails in effectiveness, but I fail to always remember to pray for help with frustration until I’m deep in its throes. Generally speaking, frustration visits my psyche much less today than in my younger days. Yet, it does still seem to sneak up on me from time to time in a cumulative, frog in the frying pan, sort of way. This process truly helps squelch the animal before the ugly really comes out. Staying well rested, healthy and prayed up makes the episodes flee sooner and stay relatively mild too. Still, I cannot forget that frustration always exists as a struggle for me. Perhaps God gave me an insanely patient husband to balance me a bit in this area. For sure, a certain diligent awareness must always exist on my part to prevent frustration’s return to the throne. 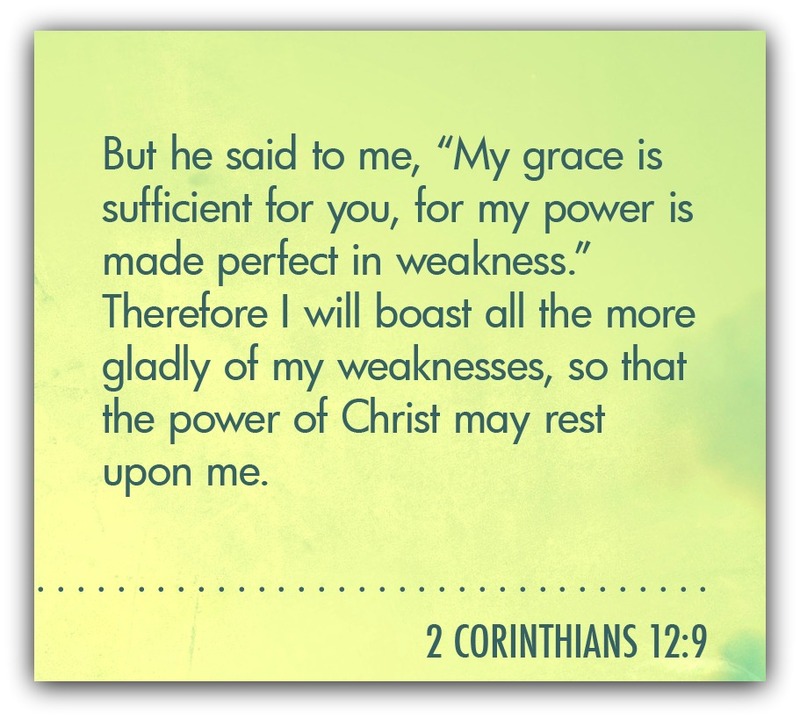 Lastly, great comfort comes in this struggle of mine through the words of 2 Corinthians 12:9. In this battle with one of my greatest weaknesses, Christ’s power shows itself in the specific activity that counteracts frustration. Nothing mystical takes place. Just a simple “do this” kind of instruction that leads me away from frustration. DISCUSSION: What suggestions do you have for overcoming frustration? What other areas have you seen or experienced God work in a similar way? Because I have two boys involved in different sports plus school activities plus church activities along with a husband who travels frequently for work, our weeks are very full at times. After an especially busy week, my oldest son said, “I want to be lazy tomorrow and watch TV all day.” This began a conversation about the importance of rest and why a habit of laziness needs avoided. We all need regular rest, even more so after particularly busy times, but we all also need to avoid establishing the habits that lead to a lazy mindset. In order to live productive and significant lives, understanding how to overcome and prevent laziness and idleness is important. Pockets of laziness and idleness exist in everyone’s life. Through our choices, they either become dangerous with far-reaching impact or opportunities for growth. While we must first identify any pockets of these bad habits in our own lives, we are not exempt from identifying them in the lives of others. In fact, 1 Thessalonians 5:14 tells us to warn the lazy of the dangers of that lifestyle. Before we can do that, we must understand why rooting it out is essential as well as be actively overcoming it in our own lives. God expects fruitfulness. 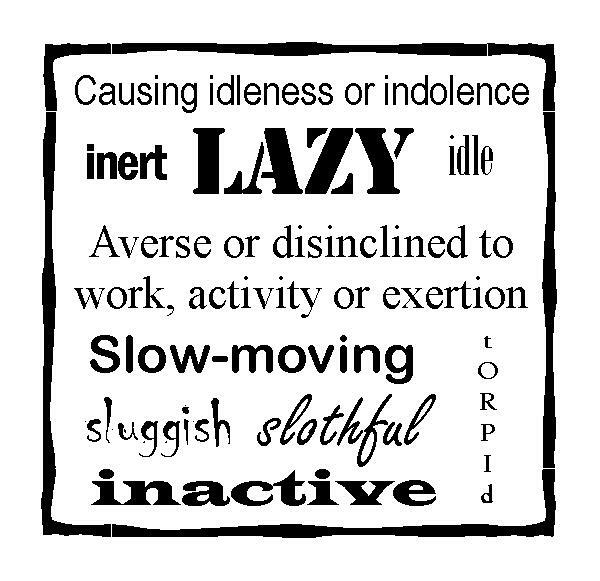 (Ephesians 2:10) Laziness and idleness mindsets oppose fruitfulness. Got gives us new natures. (2 Corinthians 5:17) We’re no longer bound by the desires of the flesh. Knowing God expects fruitfulness and that He also equips us for it, we must step into obedience of His will and overcome any lazy and idle ways in our lives. The following mindsets can renew your mind and create a lifestyle of productivity and purpose. Stay enthusiastic. (Romans 12:11) Fill time with enjoyable activities and encouraging people, and stay connected to your purpose. Enthusiasm will ebb and flow, and these things help prevent losing focus. Love others. (Hebrews 6:11-12) Truly loving others keeps life exciting and prevents dullness and indifference. Loving people gets focus off self and on love. Loving others amplifies purpose. Develop an awareness of time. (Proverbs 20:4) Those with lazy and idle mindsets lack awareness of time’s preciousness. 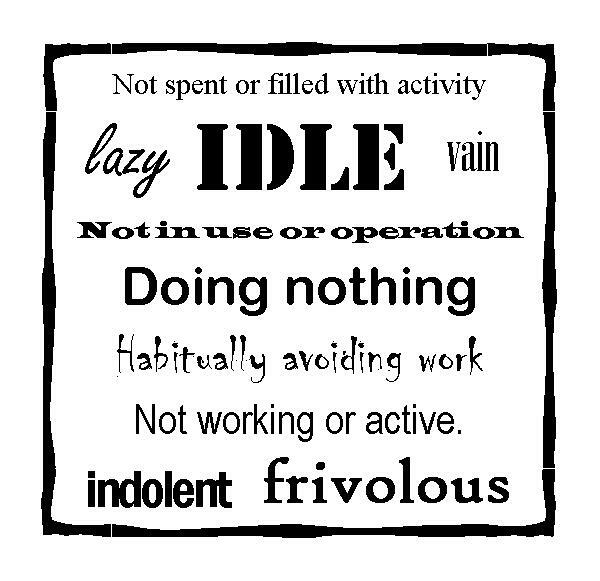 Overcoming idleness and laziness requires valuing time. Enjoy sleep’s benefits instead of sleep itself. (Proverbs 20:13; 19:15) Enjoy sleep for it results – energy, alertness, restoration. Consider that a love of sleep is simply a way to avoid responsibility and awareness. Be productive. (Matthew 25:26-30) Just like laziness and idleness are learned habits, so too is productivity. And remember, productivity is really well-disguised idleness when it lacks purpose. As my family discussed, everyone needs regular rest. At the same time, we must balance our thinking with an awareness of the habits that produce a lazy lifestyle and stay connected to our purpose for productive living. 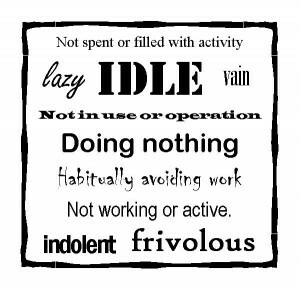 In addition to today’s discussion on overcoming laziness and idleness, we’ve spent time Defining Laziness and Idleness as well as talked about The Dangers of an Idle & Lazy Mindset. Next, we’ll look at The Importance of Time & Purpose in Rooting Out Laziness & Idleness and then conclude our series with A Look at Rest & Productivity. 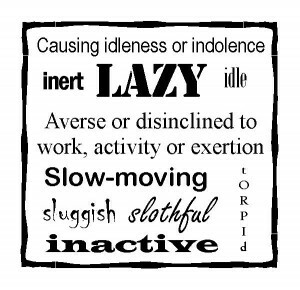 DISCUSSION: What other habits lead to a lazy and idle lifestyle? What other mindsets help reverse the process? Check out my guest post GPS Leadership at Dan Black on Leadership. Dan’s blog is a great resource! Another good blog to read, especially for some though-provoking conversation, is CycleGuy’s Spin. Check out my guest post, Abundance, there too. Thank you to Bill & Dan for inviting me to guest post… tremendous honor!